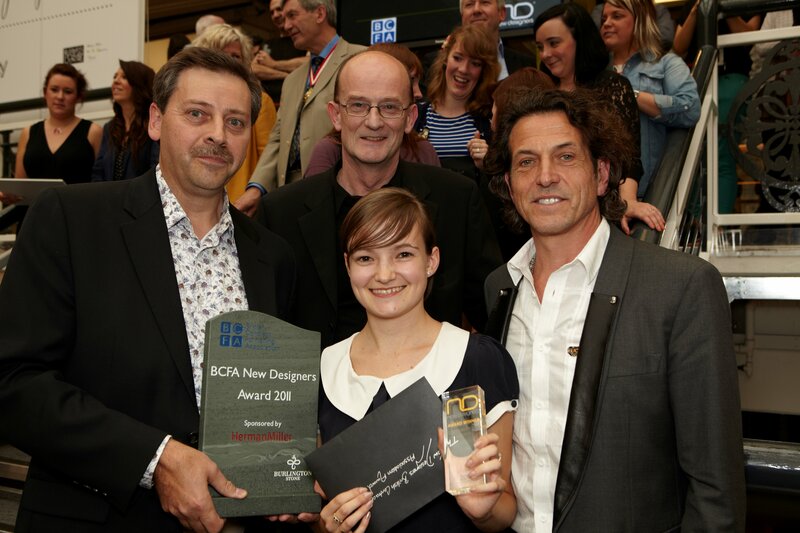 Winner of the New Designers British Contract Furnishing Association award 2011. Finalist for New Design Britain Awards at Interiors UK 2012. I have recently graduated from the University for the Creative Arts in Farnham, with a BA (Hons) in Textiles for Fashion and Interiors. Over the years I have developed my own individual style in hand woven and hand dyed textiles, resulting in innovative and experimental projects. In each of my projects I have portrayed a story and used different techniques in order to show this. The River Thames by night uses the process of dip dyeing to give the impression that the reflections in the water are fading into the darkness, creating a sense of movement. In the project Freezing time: A police car in action I took a step further using ikat dyeing to create the illusion of a passing police car and its sirens. Although highly complicated and time consuming, it gives the perfect effect to show what you see in the split second when a police car passes by. The ideas and inspiration behind my work are unique, developing into one off diverse art installation pieces.